September and October were two rough months for me in Alexander Technique teacher training. I experienced enormous emotional and physical upheavals. I’ve been truly exhausted. Is this second year of the three a turning point? Quite suddenly, the storm abated. I feel a quiet descending. I feel calm, peaceful, and kind. I am obtaining a poise that has always alluded me. My thinking is in the process of changing. I feel it! It’s palpable! I am so lucky that I have discovered the Alexander Technique and/or it has discovered me, that I have started training to become a teacher of the Technique, and that, indeed, I am well ensconced on this extraordinary journey of self-discovery and awareness. 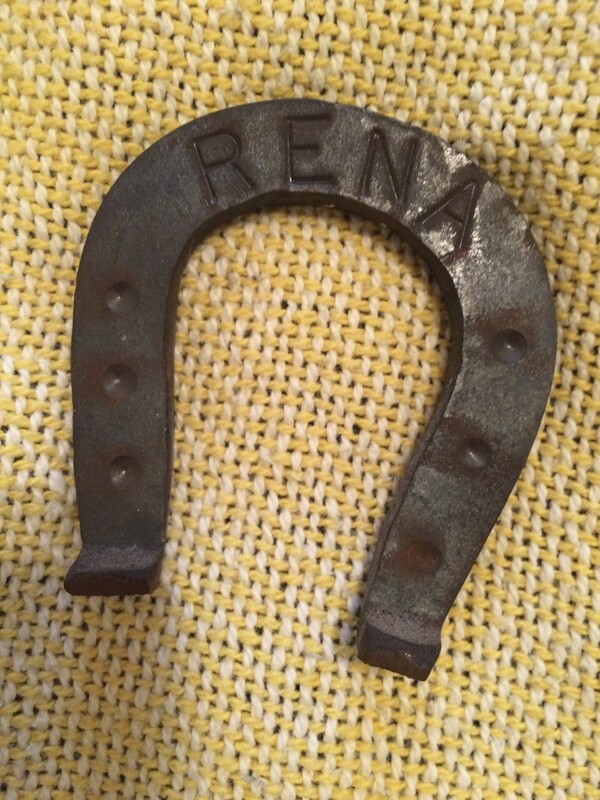 My lucky horse shoe hangs in my kitchen. I’ve had it for years. I think it was purchased for me, and engraved with my name, in Coney Island when I was a little girl. But I cannot be sure. Well no matter where it came from…looking at it makes me smile, and makes me believe that I have true luck! I love this comment Jeff! Thank you so much!